Note: This column was published in the Barrow Journal on April 9, 2014. Believe it or not, I wasn’t planning this field trip when I started writing my art series. It’s serendipity at its best! I didn’t think my boys were old enough to visit an art museum, though. I imagined my seven-year-old hanging onto my arm and asking, “When are we going home?” and I imagined my four-year-old running up and down quiet hallways and knocking over some precious sculpture. Then my sister came to visit us for a very short visit on her spring break, and the weather was not ideal for hiking, which is what I was hoping to do while she was here. It also seemed silly to drive into Atlanta when she was here for such a short time, and we were going to have to take her to the airport the next day anyway. And there are not many indoor places around here that’s fun for both kids and adults. But my sister loves art – she even teaches at a special school that emphasizes art, so we decided to take a chance on our boys and visit the Georgia Museum of Art. 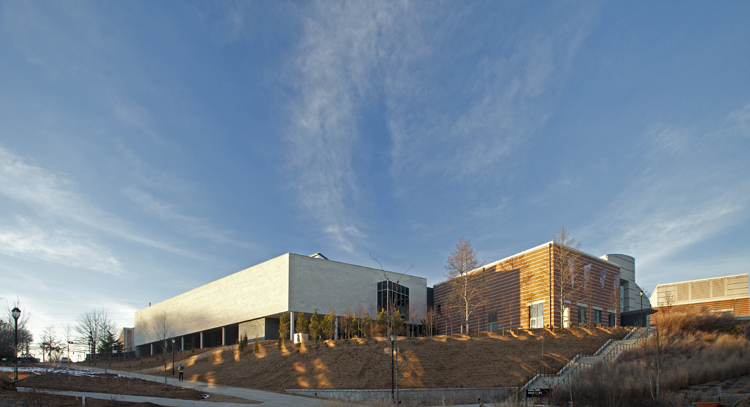 The Museum is located on the University of Georgia’s East Campus. It is free for the public, though you will need to park in the Performing Arts Center parking deck and pay for parking when you leave. We were there for about two hours and paid $2 for parking. It had been years since I had visited the museum, and it all looked new to me. This is because in 2011, a 16,000-square-foot expansion was added to the museum. It is beautiful. 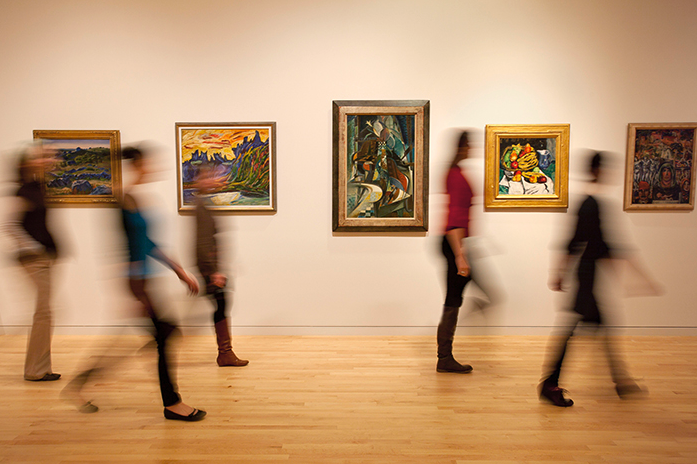 There is a huge permanent collection with artwork from the Renaissance to Modern times. Some of my favorite discoveries were a portrait painted by Mary Cassatt and a small painting by Renoir. I was happy that my boys behaved themselves, and for at least the first half the museum, they were engaged and enjoyed looking at the art. I squatted down by my four-year-old and asked him what he saw in the abstract art, so that helped him focus, but eventually, he did try to run around the big, airy rooms and hallways. (It’s tempting even for me to want to run in such lovely hallways!) But we kept him in check, and he was good boy. Tristan Perich, a contemporary artist and composer based in New York City, is the artist responsible for the “Machine Drawing.” He created the code that operates a machine that controls a pen, held by hooks and wires, and over a six-month installation, this “floating pen” will make a work of art on a 60-foot wall in the museum. It is fun to watch! If you would like to visit the museum, it is open Tuesday, Wednesday, Friday and Saturday from 10-5p.m., Thursday from 10-9p.m., and Sunday 1-5p.m. It is closed on Mondays. For parents, you may be interested in looking at their calendar and going on a Family Day, which is once a month on a Saturday and free. We have not tried that yet, but it looks like a great activity for kids. The museum’s website is georgiamuseum.org. Click here to go directly to their page about upcoming Family Art Days. < Previous home / school / life magazine has launched!